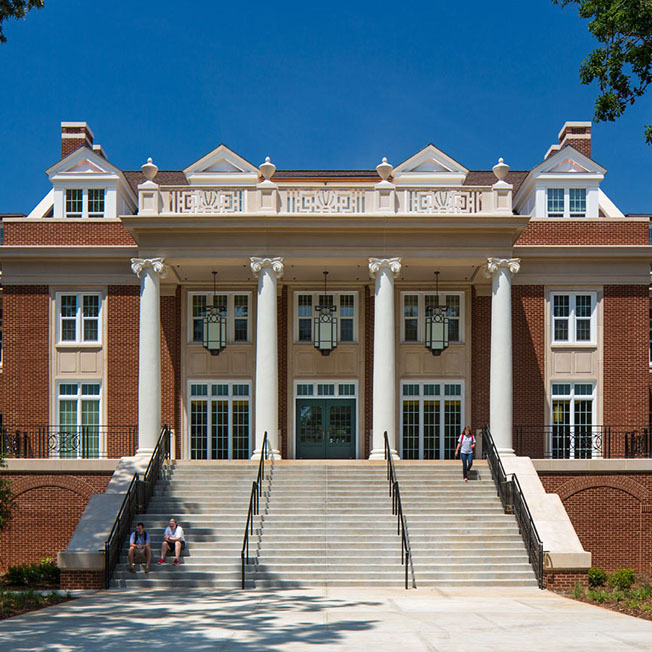 Housed in newly renovated Rutherford Hall, the Franklin Residential College or the “FRC” is UGA’s first live-in, learning community, with a faculty director, and a staff family residing in Rutherford who regularly host students in their home for intellectual, social, and cultural events. 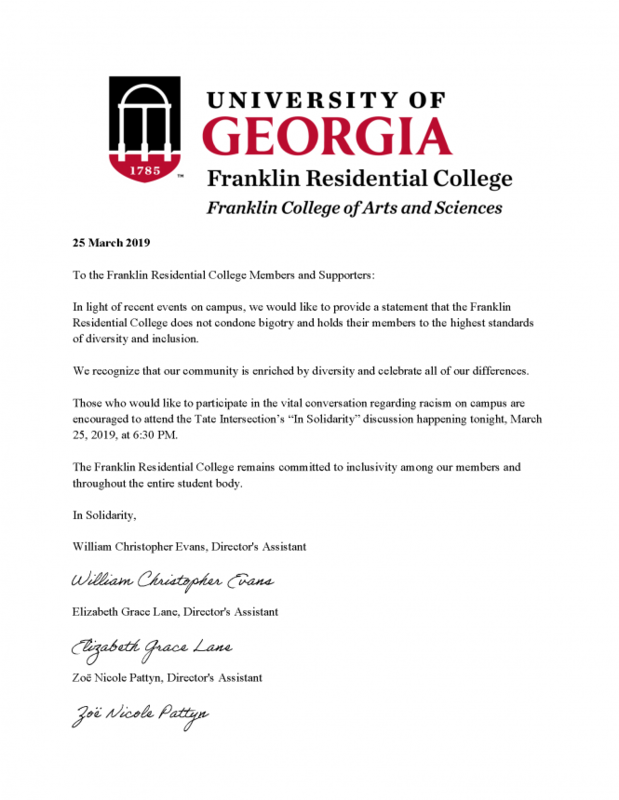 The FRC is a student-governed residence, modeled after residential colleges found at many Ivy League institutions to give the feel of a small college within a large university. Over nearly 20 years in existence, the FRC has become home to thousands of students, accepting a mix of first-year through senior undergraduates into the program each year. Students with any major or minor within the Franklin College of Arts and Sciences may apply to join the FRC. 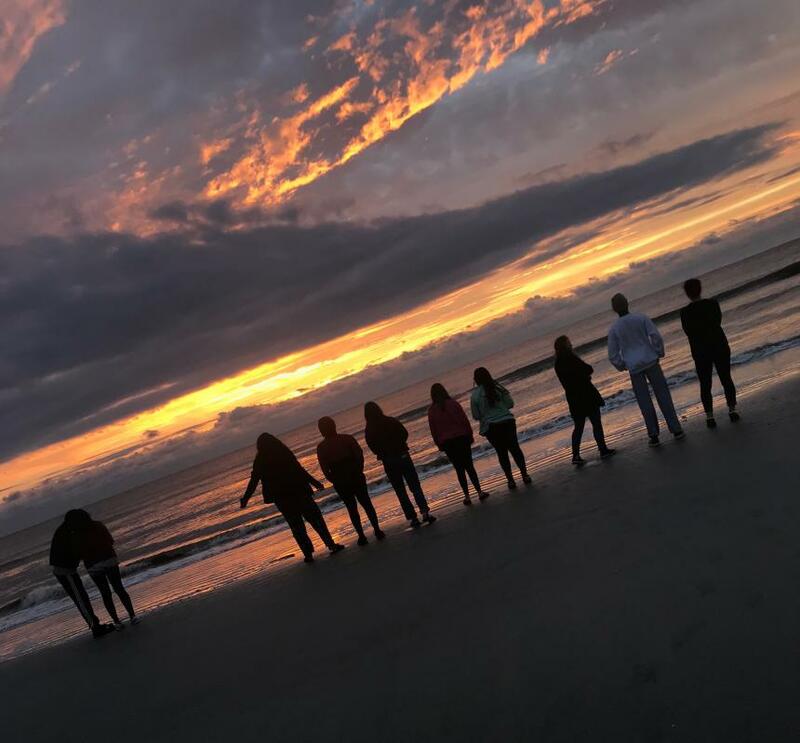 Events planned for 2018-19 include a Service Learning trip to Sapelo Island over fall break, as well as a series of academic and social events on campus and around Athens. Through workshops with UGA faculty, field trips to local businesses and charities, and cultural events, FRC residents organize and participate in a range of opportunities beyond the classroom. Members of FRC traveled to Tallulah Gorge State Park on March 30, to enjoy a cookout, catch up on studying in hammocks, and learn about the park in the interpretive center. We also hiked down (and back up) 375 steps to the floor of Tallulah Gorge!